To watch all videos visit www.videolan.org to download VLC media player. Lars Engebretsen (Norway): Treating the ACL-injured player – are there special concerns in volleyball? 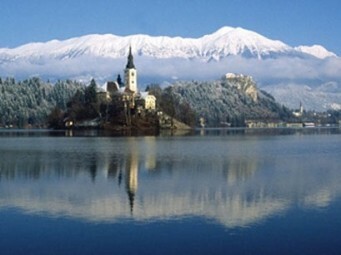 The 2011 FIVB Medicine Congress took place in Bled, Slovenia from January 13-15. As FIVB is committed to protect the health of its Athletes, the landmark Congress focused primarily on how injuries and illness can be prevented, how the risk of long-term disability can be reduced by proper diagnosis, treatment and rehabilitation, and how to maintain Volleyball as a drug-free sport. Keynote speakers included Chairman of the FIVB Medical Commission Roald Bahr from the Oslo Sports Trauma Research Center in Norway, Elizabeth Arendt from the University of Minnesota, Lars Engebresten from the University of Oslo and Oslo Sports Trauma Research Center, and Pavels Mustafins from Riga Stradins University in Latvia and the Latvian Academy of Sports Pedagogy. This congress was the perfect platform for physicians, physical therapists, athletic trainers, biomechanists and other scientists to share their views on volleyball injuries and illnesses. Abstracts within all fields of volleyball research were received. This includes studies on epidemiology, risk factors, injury mechanisms, pathophysiology, intervention studies, relevant biomechanical studies, studies on behaviour and attitudes, performance & fitness, and related research from other fields. All accepted abstracts were published in an Abstract Book and will be published in a themed issue of the British Journal of Sports Medicine.